The Fenway is an ever-changing neighborhood—one that’s become an interesting mix of brick rowhouses, dormitories, and shining glass towers. It’s this wide range of housing options, says real estate analytics firm NeighborhoodX, that makes it an interesting subject when it comes to examining property prices. NeighborhoodX’s new Fenway-Kenmore report breaks down the neighborhood’s price range in terms of square footage. The average? A whopping $1,091 per square foot. Buyers could get the most bang for their buck for a stately, 8,500-square-foot brownstone at 11 Belvedere St. It’s the least expensive home per square foot at $411, but asks $3.5 million overall. On the other end of the spectrum is a three-bedroom condo in the new Pierce Boston tower. At $2,006 per square foot, it asks about $4.7 million. The upper end of the price range is, unsurprisingly, dominated by units in these new developments, like the listings at 188 Brookline Avenue and 43 Westland Avenue. While there’s a wide range of prices per square foot in the Fenway, total asking prices tend to skew high. 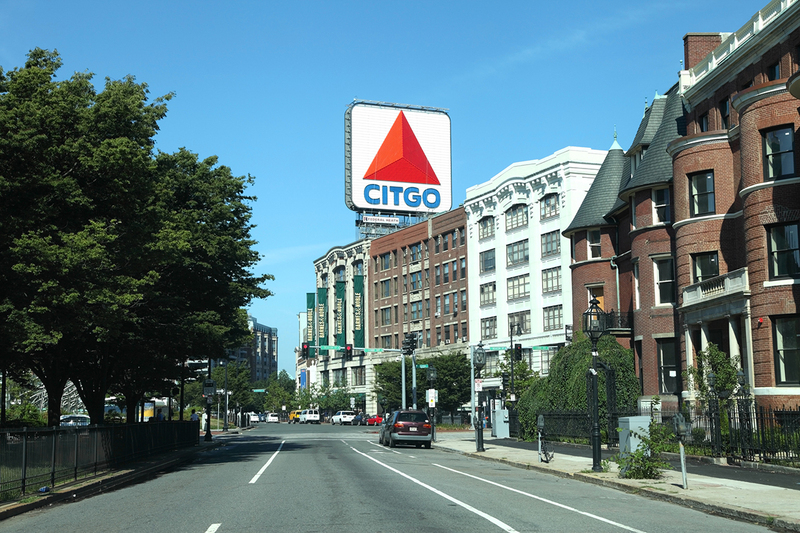 Compared to the rest of the city, it’s less expensive than places like Back Bay and Beacon Hill, but more expensive than the South End and the Waterfront. See the full price range in the chart below.